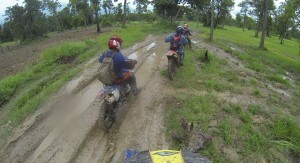 Since 2009 we have become one of the best providers of off-road motorbike tours and trips in South East Asia. 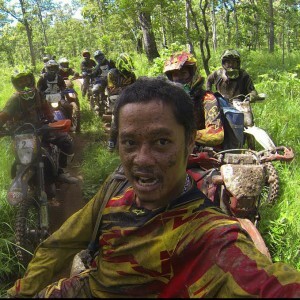 Our mission is to take you to the heart of the kingdom, providing a perfect combination of both trail riding on Cambodia’s diverse and stunning landscape coupled with our local history, culture and nature. 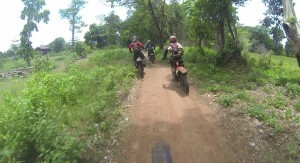 We offer everything from motocross to enduro, single trail, jungle tours and other outdoor trips. We are more than happy to tailor a trip to your specifications or skill level so you can experience the best of what Cambodia has to offer. If you’re traveling to South-East Asia please keep an eye on us! We’re offering the best-value and choice to guarantee a truly unforgettable and unique experience in our country. If you are interested in riding with us or seeing what Cambodia has to offer on bikes, don’t hesitate to contact us and we can discuss your requirements. The team leaders at Cambodia Trails has over 10 years extensive experience within the tourism industry. 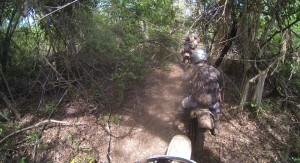 We have been organizing dirt biking, cycling, Jeep and 4x4WD tours since 2006. We are a local travel company and operator and due to this all the profits will benefit the community of Cambodia. 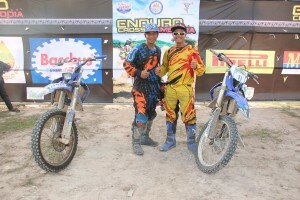 Our tour staff features Vong Sara Ratanak (Nak), Sophal Lon (Sophal), Khoem Bot (Bot) who are all accomplished and experienced riders, guides and mechanics. At the first part such as an easy ride with unpaved road, then some pot holes and bumpy which across countryside rice paddies and village to Beng Mealea temple for a break then take a hard part through the jungle to Taseng village and stop by lost temple Bakan and overnight at homestay (a family house ) or Jungle over nigh with Camp fire depend on season. This tour cover the Kulen waterfall, whole Northern part of Cambodia, Along Veng, the last strongest Red Khmer base, Phah Vihear temple right at Khmer-Thai border, lost capital Koh Ke ( 4th capital of Angkor) Taseng village, Bakan in the middle of the jungle and Beng Mealea temple. First day an easy ride with unpaved road, then some pot holes and bumpy which across countryside rice paddies and village to Beng Mealea temple for a break then take a hard part through community rain forest to —- Boeng Pea wild life jungle to Taseng village and stop by lost temple Bakan and over at homestay (Chairman’s house).